Alexander Corry Vully de Candole - always known as Alec - was born on the 26th of January, 1897. He won a Scholarship to Cambridge, but postponed the offer in order to join the War effort. 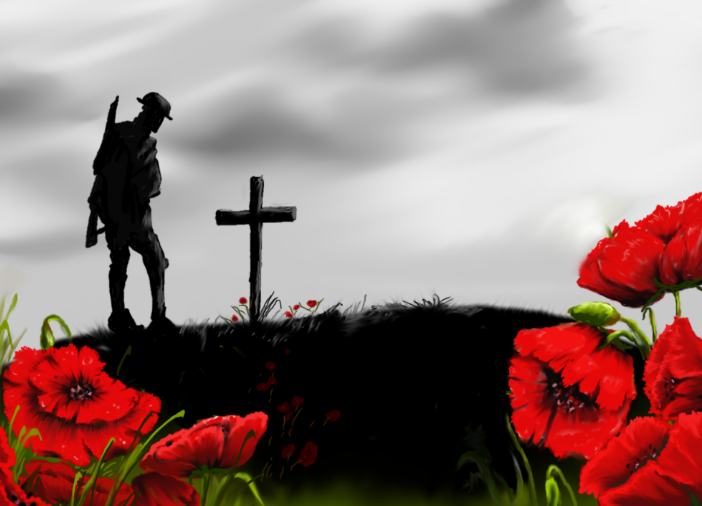 He was killed in action on the night of the 3rd of September, 1918 at the age of 21. Alec's father was the Ven. Canon Henry Lawe Corry Vully de Candole; his mother Helen (Edith) Thompson. They lived at Springfield Lawn, The Park, Cheltenham and later at 6 Little Cloisters, Westminster, London. Alec was educated at St Faith's, Cambridge; in 1908 he went to St Andrew's, Southborough. 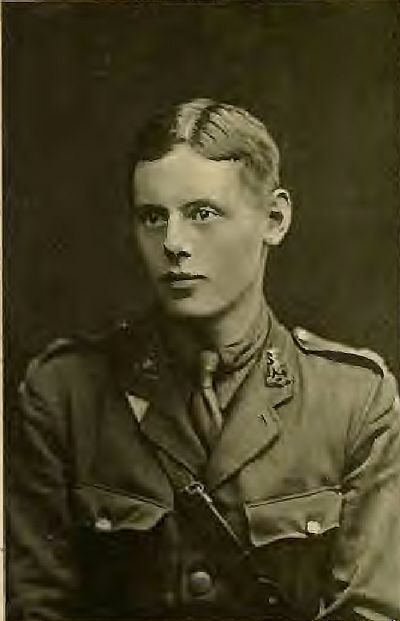 In 1910 he won the top Foundation Scholarship to Marlborough College, and joined House in January 1911. in 1912 he gained an Open Senior Scholarship, and was made House Prefect of Mitre. In December 1915, Alec won an Open Classical Exhibition Scholarship to Trinity College, Cambridge, which he postponed for the duration of the War currently being fought, his hope being to take Holy Orders. 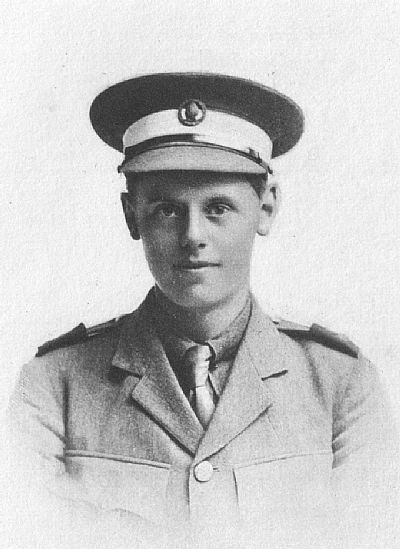 In April 1916 - the Easter holidays - Alec went to Cadet school in Oxford. 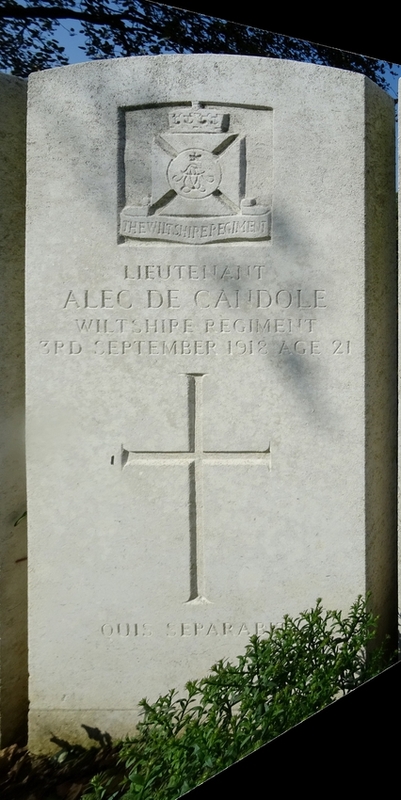 Upon leaving school in November 19116, Alec joined up, and was commissioned into the 4th Wiltshire Regiment. He went to France in April 1917. After a short leave in September 1917, Alec returned to France, and was wounded on October 28, and came back to England the following month, Nov 1917. 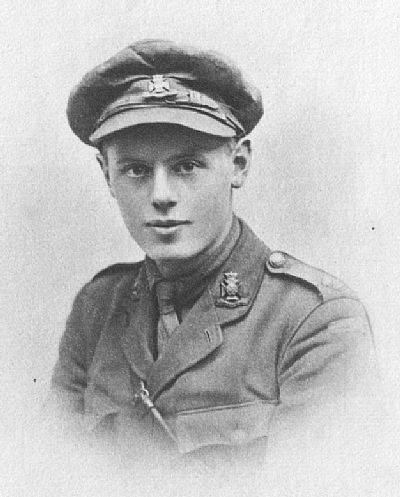 Alex was sent to Grantham in April 1918, but after some months following a training course in Machine Gunnery on Salisbury Plain, in July 1918 he was attached to the Machine Gun Corps, and was sent to France, where, at Aubigny, near Arras, he was killed on the night of Tuesday, 3rd September, 1918. In March 1919, his book, "Essays on Religion and Life," (The Faith of a Subaltern) was published by Cambridge University Press. His 83 poems were published privately by his father in October 1919, The purpose of this WebSite is to make his poems available. He also wrote a Biblical play, an essay on "Fall of Carthage" and "An Arthurian Romance". Arranged by dates of death, this book gives the short life-and-death stories, including an account of the battles in which they died, of sixty-six published British poets killed in Flanders fields. “We set off for the Aubigny Communal Cemetery, where we were to visit the graves of Alexander de Candole and Hamish Mann. The focus today was to look at the work of those poets who were deeply troubled by the attitude of the Church towards the war. Alec lies buried in Plot IV.A.8 in the Aubigny Communal Cemetery Extension, Aubigny-et-Artois, Pas de Calais, France, just off the D939 North East of Arras. Some have spoken recordings to listen to. All 85 are shown here on this WebSite, though not so attractively presented. Just click on the Tab on the top left of this page. This text has been "transcribed" by OmniPage 18 OCR program. It's not brilliant, so much work remains to be done. Our aim is to get the text "up" on the Internet as quickly as possible, so that search engines can find it. If you see any errors, please let us know. Better still, send us a corrected version! This is a FREE WebSite - which means it is paid for by the advertising. Please be warned that clicking on any of the icons below or on the right hand side of the page will take you away from here to the WebSite of the advertiser. The reason for this is that no subscription is required, and therefore the Site should remain after I have departed.